Microsoft has held the ‘Banking Edition’ of its CISO Executive Series – a series for an elite set of top Chief Information Security Officers for Kuwait’s Finance sector professionals. The event, held at the JW Marriot, Kuwait City, was specifically tailored for the country’s banking industry to enable its professionals to overcome the rising challenges in the cybersecurity landscape and meet the security objectives of their business. The summit comes amid continuous rise of cyberattacks targeting public and private sector organisations and aims to empower professionals to better protect their company perimeters. Microsoft experts including Ramon Bosch, Principal, Risk and Compliance, Microsoft EMEA; Volkan Verim, Technical Sales Professional, Security Microsoft Gulf; and Mohammed Zayed, Microsoft 365 and Cybersecurity Solutions Lead for Microsoft Kuwait, delivered presentations and demonstrations around Cybersecurity. The sessions covered a holistic approach and introduction to Microsoft trust principles such as security, privacy, compliance and transparency. The attendees also learned about protecting organisational identities and ensuring data privacy and encryption of information including data classification, compliance policies and practices to meet financial requirements. 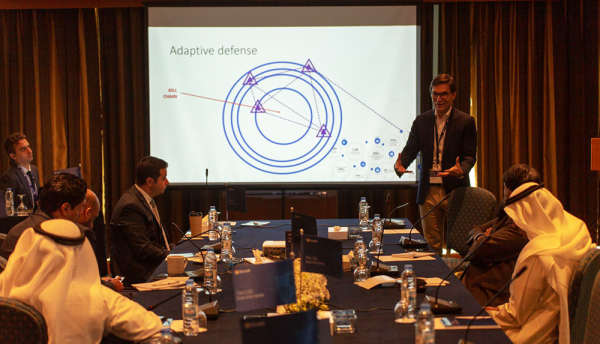 Moreover, the Kuwaiti CISOs were engaged in discussions to shed light on the importance of how the migration of core data and applications can help increase security and bring agility to their operations. Microsoft Digital Transformation research on cybersecurity found a troubling threat landscape in the region. 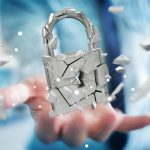 Some 63% of respondents said their company lost either productivity or data to a cyber incident in 2018; 46% of these victims were affected more than once; and almost one in 10 victims reported incidents ‘once a week or more’. “Today’s CISOs must manage their organisation’s risk in the face of rising challenges and the ever-expanding scale and sophistication of today’s cyberthreats,” said Mohammed Arif, Regional Director, Modern Workplace and Security, Microsoft Gulf. The Microsoft CISO executive event concluded with key takeaways from all perspectives of cybersecurity and proved to be a strong platform for security professionals from across Kuwait to network with peers and engage with subject matter experts.